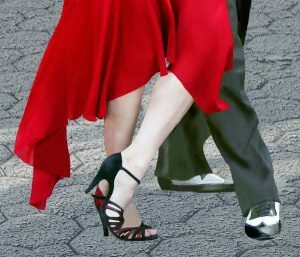 I went salsa dancing the other night..and actually have gone more salsa dancing than tango in the past few months…this is after almost four years of dedicated tango dancing, going 2 to 4 times per week at least, with the salsa happening every couple of months or so. The energy and exercise is what I’ve been going for I think..and it is nice to see people I used to see 4, 6 even 10 years ago when I first started. 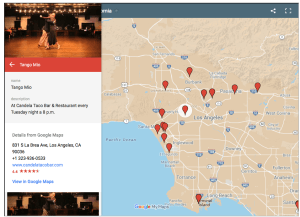 While I was at Wolkano restaurant in Santa Monica this past Tuesday, I talked with another dancer, whom I met when I used to go to Sportsman’s Lodge in Studio City. 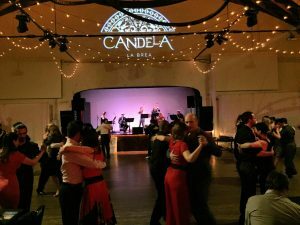 He had been to Buenos Aires and took tango lessons once, and has observed the tango scene.We compared the energy–salsa is louder, looser, and generally to the outsider looks like a great deal of more fun than tango. When you walk into a social tango venue, everyone looks serious, and there’s (hopefully) no flailing about and spinning (as I said, hopefully). People who dance salsa smile more while dancing; unless they’re trying to be super cool which happens often. 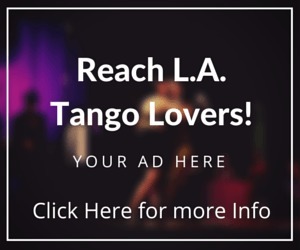 While dancing tango, the dancers tend to look very serious–it’s a difficult dance– and when one has some sort of mastery over it, the importance of staying connected with your partner supersedes any sort of other emotion or expression. That’s it: it’s an expression of inward intimacy, whereby salsa is an expression of outward energy. 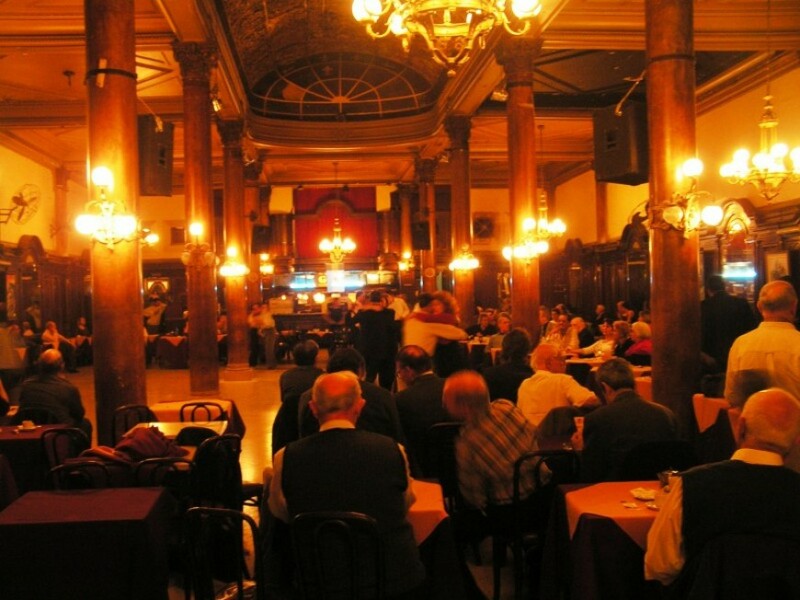 But after the dancing is done, the next best thing I like about going out to tango, is being able to sit and talk and laugh with people I have been socializing with for the past four or five years. Many people become like family–and our gathering places are the milongas throughout the area. Same with salsa–you become family and friends and migrate to the next hottest club together, or remain faithful to the longtime ones as well.